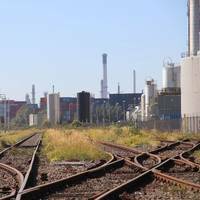 Canada's energy-rich province of Alberta is in talks to buy rail cars to transport 120,000 barrels per day of crude oil and expects a deal to conclude within weeks, Premier Rachel Notley said on Wednesday.Notley, who says the cars are needed to help deal with a glut of oil that has slashed the price of Alberta oil, told a business audience in Ottawa she was disappointed the federal government was not helping fund the purchase.Full pipelines have stranded much of Western Canada's expanding crude output, driving down the price U.S. refineries are willing to pay. Prime Minister Justin Trudeau on Monday said any move by the United States to impose tariffs on Canadian steel and aluminum would be a "very bad idea" guaranteed to disrupt trade between the two nations.Trudeau told reporters in Vancouver he was confident the administration of President Donald Trump understood that such tariffs would hurt jobs in the United States as well as Canada.Trump imposed a 25 percent tariff on steel imports and a 10 percent tariff on aluminum in March but granted temporary exemptions to Canada and Mexico that run out on May 1. 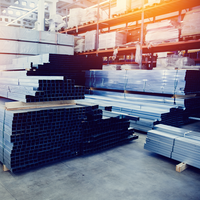 Canada is the biggest supplier of steel and aluminum to the United States. 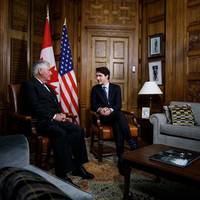 "We have been discussing this with the U.S.
Canada will act to prevent the smuggling of cheap steel and aluminum into the North American market to avoid new U.S. tariffs on the metals, Prime Minister Justin Trudeau said on Tuesday. Trudeau said earlier this month he was aware of concerns that countries facing the tariffs could try to ship supplies through Canada and pretend the metals had been produced in Canadian facilities. Under new measures unveiled by Trudeau's office on Tuesday, the Canada Border Services Agency will gain new powers to stop companies that try to dodge duties. 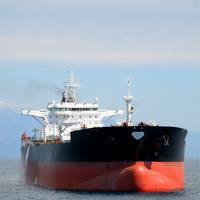 Canada's Liberal government has introduced legislation for a moratorium on oil tanker traffic along the northern coast of the British Columbia province, the country's transport department said on Friday, delivering on an election promise. Canadian Prime Minister Justin Trudeau ordered the ban soon after the election in 2015, in which he took power on a pledge to balance resource development with protecting the environment. Friday's bill will likely pass because Trudeau's Liberals hold a majority in Parliament. President Donald Trump will host Canadian Prime Minister Justin Trudeau on Monday, the White House said on Thursday, a meeting in which trade and a major crude oil pipeline are likely to be on the agenda. The meeting will be the first for the two men since Trump won last November's election. "President Trump and Prime Minister Trudeau look forward to a constructive conversation on strengthening the relationship between our two nations," the White House said in a statement. 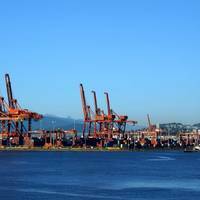 Canada sends 75 percent of its exports to the United States and is keen to avoid becoming the target of protectionist measures. Trump wants to renegotiate the trilateral NAFTA trade pact with Canada and Mexico, which he says has been disastrous for American workers. US President Barack Obama has permanently banned offshore oil and gas drilling in the "vast majority" of US-owned northern waters. 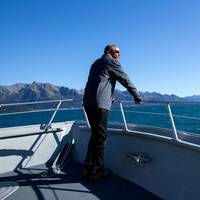 Vowing that his successor won’t be able to reverse his actions, President Obama on Tuesday used executive authority to permanently ban new offshore drilling in federally owned waters off the Atlantic coast and in the Arctic Ocean. The majority of the Chukchi and Beaufort Seas and the entirety of the Canadian Arctic are now off limits for future offshore oil and gas leasing. According to ADN, President Obama's Dec. Much of the policy and planning the U.S. The bullish view for Suncor Energy Inc (SU.TO), Cenovus Energy Inc (CVE.TO) and other Canadian energy producers calls for Prime Minister Justin Trudeau by next month to approve a major pipeline expansion to the west coast, boosting sales of land-locked oil sands crude to Asia. 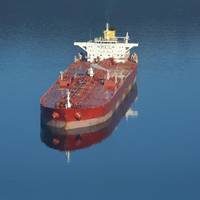 But a growing number of shipping brokers and physical oil traders warn that any new influx of oil will hit a bottleneck in Vancouver, because of the port's inability to accept the megaships that dominate oil trade globally. This bottleneck marks one of the more under appreciated hurdles facing Canadian oil sands crude being shipped from its busiest port of Vancouver, these shipping brokers say. Middle Eastern producers already ship oil ship to Asia far more cheaply, thanks to the bigger vessels they employ. And U.S.
International climate scientists are calling on the Canadian government to reject a proposed liquefied natural gas project by Petronas-backed Pacific NorthWest LNG in British Columbia, saying it would have dire environmental effects, according to a report in Canadian Press. Ninety academics from Canada, the United States, Australia and the United Kingdom released an open letter Monday saying the Pacific NorthWest LNG project would be one of the country’s largest greenhouse gas emitters, and if built, would undermine Canada’s climate change commitments. Japan and Canada share "serious concerns" over reclamation and militarisation in the South China Sea, Japanese Prime Minister Shinzo Abe said on Tuesday, in an apparent reference to China's maritime activity. China and the United States have traded accusations of militarising the South China Sea as Beijing undertakes large-scale land reclamation and construction on disputed features while Washington has increased its patrols and exercises. Abe's comment, made at a joint news conference with Canadian Prime Minister Justin Trudeau, came ahead of a Group of Seven summit later this week, where maritime security, along with the global economy and terrorism, will be among main issues. Canada will provide aid to developing countries to combat climate change, Prime Minister Justin Trudeau announced on Friday ahead of talks on global warming, which he has promised will show the country is serious about tackling the issue. Canada will give C$2.65 billion ($1.98 billion) over the next five years, the newly elected Trudeau announced during a trip to Malta, where he was meeting the heads of Commonwealth countries. The funding will help support the transition to low-carbon economies and will target the poorest and most vulnerable countries. Prime Minister Justin Trudeau instructed his natural resources minister to "modernize" Canada's independent pipeline regulator, said a letter released on Friday that gave details on the newly elected leader's environmental plans. Trudeau asked Natural Resources Minister James Carr to ensure the Calgary-based National Energy Board (NEB) has a balanced representation from across the country, as well as sufficient expertise in environmental science, community development and indigenous traditional knowledge. 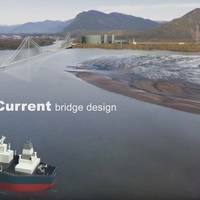 Canada will push ahead with a moratorium on oil tanker traffic along the northern coast of British Columbia, effectively slamming the door on a controversial pipeline project that was already facing massive development hurdles. In a letter released on Friday, Canadian Prime Minister Justin Trudeau instructed Transport Minister Marc Garneau to work with numerous other ministries to "formalize" the ban on oil tanker traffic, a Liberal campaign promise ahead of the federal elections last month.